How does meditation work? Phakchok Rinpoche and Erric Solomon say it gives your distracted mind a job. With practice, you can learn to be present with whatever arises. Meditation is a process of getting to know how our mind works and training our attention to rest where we place it. In Tibetan, the word for meditation is gom. Gom literally means “getting familiar with” or “getting used to.” By practicing meditation, you can get used to remaining present, undisturbed by whatever thoughts or emotions arise in your mind. However, our mind normally behaves like an excited monkey, jumping from place to place. Our mind thinks about this and then it thinks about that. We sit down to meditate and at first we are present, watching our breath, but after a few moments we are lost in a daydream. We may have started out by watching the breath, but soon we are on an island enjoying a piña colada at the beach and next we are thinking about all the money we have to save to get there. Before long, several minutes have passed and we realize we forgot all about the breath. The monkey mind jumps here and there almost without stopping. Our monkey mind is constantly talking to us and telling us what to do. We don’t know how to guide it. Our mind is under our control to some degree, but a few minutes on the meditation cushion should convince us of how little control we actually have over it. When the monkey mind tells us something, we react in one of two ways: we follow it, or we fight with it. If our mind tells us something is good, we follow it. If our mind is telling us how funny our partner looks in that outfit, we struggle with ourselves not to mention it and try push the thought away. Meditation is neither about cultivating nor rejecting, but rather about learning how to be present in the face of whatever arises in our mind. Some people think meditation is about siting there, clearing the mind by blocking thoughts and emotions. They struggle with their mind, thinking “I must meditate, I must keep a quiet mind, no emotions, and CONCENTRATE!” Other people try to meditate by blissing out, thinking meditation is all about peace, openness, and reaching a special level of consciousness. Meditation is neither about cultivating nor rejecting, but rather about learning how to be present in the face of whatever arises in our mind. In the beginning, we may need to calm our mind in order to not become overwhelmed and distracted by our thoughts. Eventually, as we gain experience, we will actually be able to use turbulent thoughts as a support for our meditation. Until then, we need to be able to settle our mind. Once our mind settles, we don’t have to remain in a tightly focused state of concentration, nor do we have to create a blissful experience. If we are too tight in meditation, we are blocking our senses, and that can be quite an exhausting struggle. If we are too open and relaxed, we may feel good, but this can easily result in strengthening our fondness for creating experiences. Whether we prefer a state of control or creating a pleasant state of openness, we are still worried about circumstances, even if they are just mental states. The mind is naturally open; we don’t need to do anything to open it up. If the mind weren’t already open, nothing would be able to appear in the mind. Yet everything that appears to us, appears in the mind. Otherwise, how else would we know about it? We don’t need to block out or cultivate anything. We just need to get used to remaining present: aware of—yet undistracted by—whatever sights, sounds, sensations, thoughts, and emotions appear. Think about having a party. If you’re an experienced host, when you have a difficult, disruptive guest, you won’t immediately argue with the guest and try to throw him out. That could easily ruin the evening for everyone. Instead, you will flatter and schmooze your guest, find common ground, and give him something pleasant to do. Perhaps you offer him his favorite drink (unless he’s already had one too many), a plate of the tastiest food you have, or the most comfortable chair to relax in. Once given the space to relax, the guest becomes more agreeable, more open to suggestion. We don’t have to fight with the restless quality of our mind, nor do we have to follow it around, getting completely lost in thoughts. The monkey mind needs something to do, or it starts creating all kinds of problems. So, let’s give the monkey mind something to do. Let’s be a good host. First, we can tell the monkey mind to pay attention to the breath moving in and out. For a few moments it behaves, but then monkey mind thinks something like “Piña coladas are so delicious!” and we become distracted. But we don’t need to get mad and rigid—we can gently remind the monkey mind that its job is to focus on the breath. In this way, we gradually tame the restless monkey mind, making our mind more pliable and more workable. Negative thoughts and emotions hold less and less sway over us. This is the actual fruit of meditation: mastering our mind. 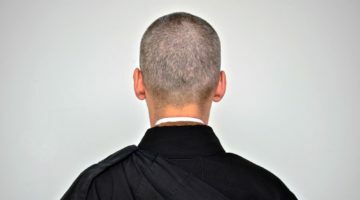 Calmness of mind may be a nice side-effect, but the real fruit of meditation practice is that our mind becomes more and more flexible and less and less a prisoner to habitual ways of reacting. We are able to place our attention where we want, and thoughts and emotions, while still arising, won’t distract us. We can choose to follow them if it suits our needs, but we are no longer blown about, like a leaf in the wind, as each thought or emotion breezes through. As you begin meditation practice, the discipline of the practice is to bring your attention to an object and leave it there. If you become distracted, simply bring your mind back to the object. Give the monkey mind the job of remaining mindful of the object of your meditation. By remaining mindful of the object, the monkey mind stops jumping all over the place. This will interrupt the habit of following after every thought and emotion that rises in your mind. No matter what thought or emotion comes to mind, you can always react the same way by returning your attention to the object of your meditation. 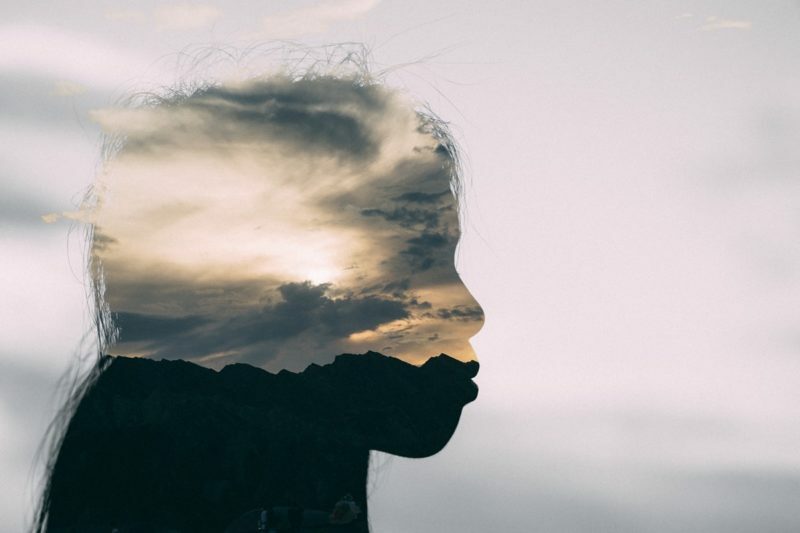 One of the most popular ways to practice meditation is by placing our attention on our breath—in this case, our breath is an object for meditation. But we can use anything as an object: sights, sounds, sensations, even thoughts. 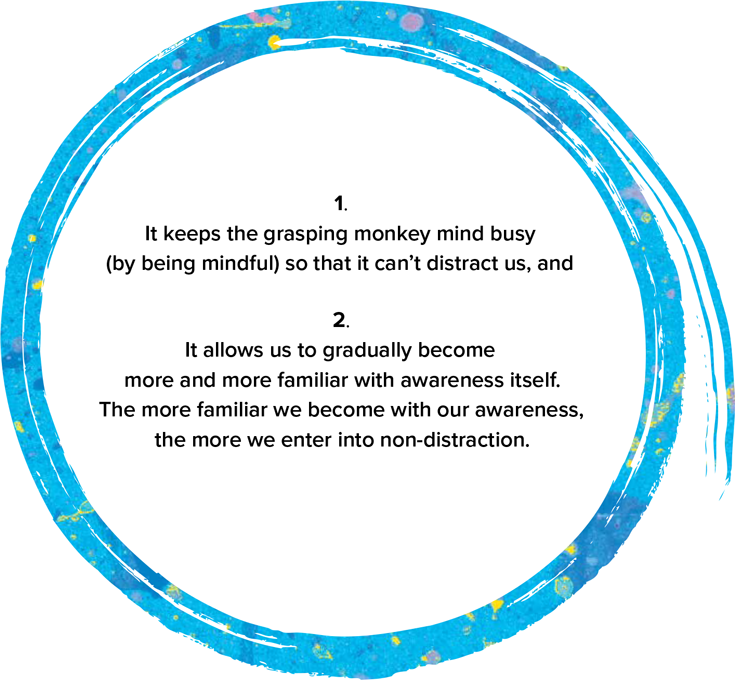 As the monkey mind calms down, we become more settled in the present moment, undistracted by any thoughts or emotions that pass through our mind. This is the goal of using an object for our meditation practice: to be fully present in the moment, which is what we mean when we say non-distraction. As you become more and more familiar with non-distraction, you will find that you can drop the method of using an object. Eventually, non-distraction itself is all the support you need for meditation practice. This is called meditation without an object. It’s important to point out that non-distraction is not a state that we cultivate or create. It is a natural quality of our mind, but it is normally obscured by our thoughts and emotions. When we no longer allow our attention to be carried away by a chain of thoughts, non-distraction is revealed. It is where we rest in the natural awareness of our own mind, free from the distraction of rising thoughts and emotions. This awareness is pure knowing, without having to be aware of something. Our minds are naturally aware, but usually we are distracted by what we are aware of. If you are following thoughts and emotions, involuntarily thinking about them, that is distraction. When we rest in awareness in itself, that is non-distraction. We can be aware of everything around us, but non-distraction doesn’t depend on an object in order to be aware. We get direct experience of this awareness whenever we’re practicing meditation with an object and we realize we’ve become distracted. That moment of knowing we’ve become distracted is the arising of awareness that is naturally free of thoughts and emotions. Of course, we may also have the thought “I am distracted.” But that is a thought, not the knowing awareness itself. In other words, we know we are distracted whether we have the thought or not. If we have the thought, “I am distracted,” awareness notices the thought. As we return our attention to the breath or whatever object we are using, we return to meditation. If we follow the thought, we return to distraction. Normally, we mentally grasp on to objects by thinking about them. We constantly evaluate experiences and try to grasp after the things we like. We also can try avoiding them, but, ironically, that is grasping too! In meditation, we use this habitual tendency to grasp in a way that skillfully relaxes the habit. We do that simply by using an object to be mindful of, using the monkey mind’s habit of grasping in a special way that allows the grasping itself to naturally relax. 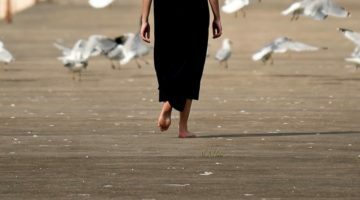 Beyond these two main aspects of meditation that—mindfulness and awareness—there is also a third aspect we need to bring into our meditation practice: relaxed spaciousness. If our mind is too tight in meditation, we become overly concerned with holding the object of meditation in mind. Meditation becomes an ordinary practice of grasping the object and avoiding forgetting about the object. When we bring in a relaxed and spacious attitude to meditation, we don’t have to block anything or grasp too tightly. We allow our natural awareness to maintain mindfulness, but we don’t chase thoughts and emotions away. Just like when the skillful host gives the difficult guest a little space so they can relax, we allow thoughts and emotions the space to rise and then fall naturally away. We spaciously bring our attention back to the object, and the power of thoughts to distract us naturally dissipates. We can explore using different kinds of objects to bring us into the present moment. We can place our attention on our breath, or use an image of a Buddha, a candle or any other visual object. Any sensation can either be a distraction or be used to bring us back to the present moment. Gradually, as we become more and more familiar with remaining in non-distraction, we can drop the method of using an object. At that point, we no longer need an object. The only “object” we need is awareness itself. Then, we can rest our mind in its own naturally spacious, mindful awareness, free from ordinary thoughts and emotions. From Radically Happy: A User’s Guide to the Mind by Phakchok Rinpoche and Erric Solomon © 2018 Phakchok Rinpoche and Erric Solomon. Reprinted in arrangement with Shambhala Publications, Inc. Boulder, CO.
Phakchok Rinpoche is a Tibetan Buddhist teacher from the Nyingma and Kagyu lineages. 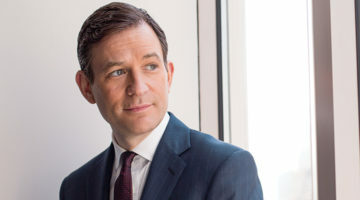 He is co-author of Radically Happy: A User’s Guide to the Mind. Erric Solomon is a former Silicon Valley technologist, Buddhist yogi and teacher. He is co-author of Radically Happy: A User’s Guide to the Mind. You can find him at RadicallyHappy.org and on Facebook and Instagram.